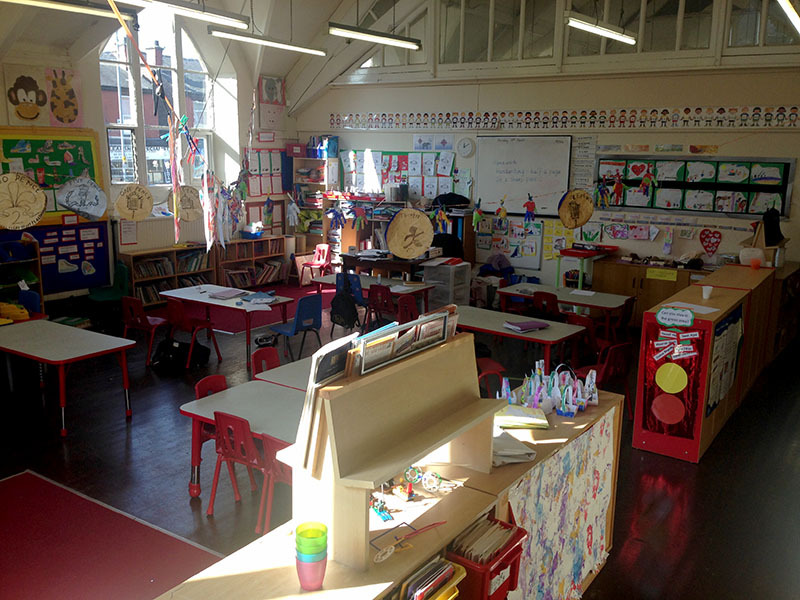 Prestwich Preparatory School was established in 1977 by Estelle Friesner to cater for the educational requirements of her then 9 year old son. She recognised that for those parents wishing their children to have a head start at senior school aged 11 a rigorous grounding in the 3Rs was essential. Since then, we still place great emphasis on a good educational grounding but we also focus on the childrens’ pastoral care as well as computer studies, sports, games, history, geography, science and arts and crafts. At heart, however, PPS is still a small private school with a lovely nurturing, family atmosphere whose primary goal is to secure places for our children at one of the local Grammar Schools or to entry into a top stream of a local state funded school. Successfully meeting children’s educational needs from 18 months to 11 years. Small class sizes, allowing children to receive individual attention. Open 50 weeks a year. Holiday care and after school clubs. My brother attended Prestwich Prep’ School from 1979 to 1980 before progressing on to Bury Grammar School on a Free Place in September 1980. I had no hesitation in sending both my daughters there starting part time in the Baby school before progressing through to Friesner Nurseries and on to PPS. I can say without reservation they have enjoyed all the years they were there. Never bullied and always happy in a diverse atmosphere whilst being challenged academically are the hallmarks of PPS. It may not have the infrastructure and facilities of other schools but both my daughters played sport, swam, learned to play piano and joined the drama and board game clubs to supplement the already wide curriculum on offer. Having spent 14 years visiting the school on an almost daily basis I have never seen anyone misbehave, excluded, answer back or treat the Head and other staff with anything other than respect. And the results? Two well adjusted, happy young ladies at 11 with free places to one of the top Grammar Schools in the Country. The School is a credit to Miss Shiels. The close knit atmosphere she engenders clothes the children in a blanket of confidence and happiness they miss when they leave for pastures new. The skills and character traits that are encouraged there stand them in good stead as they move to their senior school and I have no hesitation in recommending the school to any parent considering sending their child there. Years of attendance – 2003-2017. 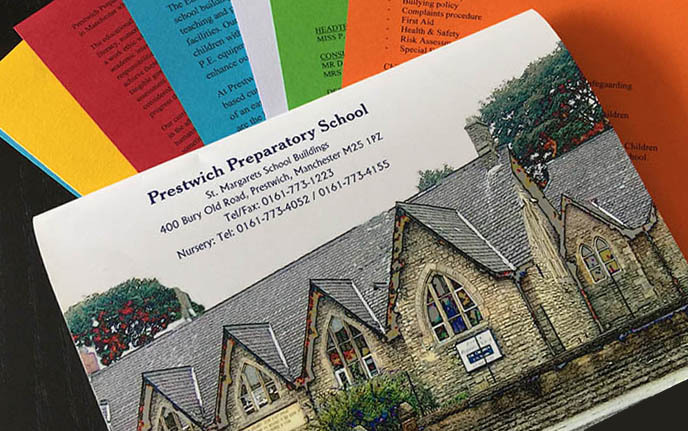 Prestwich Preparatory School is a small friendly school with a strong focus on the three “r’s” and getting pupils into Grammar Schools at 11+. My son has greatly enjoyed his time there and will miss the family atmosphere of the school with its small class sizes when he goes. It is a place where all the children know and look after each other whichever year they are in. The staff are hugely supportive and dedicated in their work with the pupils. Their help and hard work enabled my son to pass all his exams for four local Grammar Schools. Similar exam successes were achieved by his cohort. My son attended a preparatory school in south Manchester from nursery but he failed to make any significant progress. He started to attend Prestwich Preparatory in year 2 and has made significant progress in the last 3 years. He has developed into a confident boy who now believes he is able to compete with his peers. I was very impressed with the progress he made in year 2 and he was able to ‘catch up’ with the other children in his class within the year. My daughter also attends Prestwich Preparatory and although she did not have any significant issues at her previous preparatory school I am happy with the progress she is making in year 2. We looked into the option of sending our children to PPS when our daughter was not allocated the same primary school as her elder brother. Since starting in September 2015 we have been absolutely delighted by the academic achievements of both our son and daughter. Their progress and enjoyment in a variety of subjects, but particularly in English, reading and maths, has been remarkable, while we also note how happy they both are in a well disciplined and academic driven environment. Our children have made some very good friends and this reflects in their positive attitude to attend school and to do the best they can. We recommend PPS to other parents considering placing their children there and our only regret is not sending our children sooner.